Yesterday was the first really feels like fall day here, and I loved it. We've been sleeping with the windows open and I swear I get no better sleep than when it's slightly chilly and you are huddled under the covers. I really hope that we have a long fall because it is truly my favorite season. 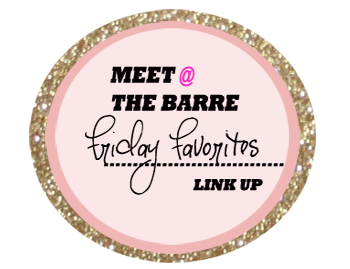 Here is a look back at a few moments from my week. 1| Last Saturday Martin and I had a fun double date night with some of our friends. First we had dinner at P.F. Changs and then we went to the comedy club to see John Lovitz. We all definitely needed some laughs and we sure got them! 2| Sunday I took my first bath in my new tub! I did the detox bath I shared last week, and it was crazy. You could really feel it working! I also had a curious little friend the entire time. 3| Four acupuncture treatments down and I really feel like it's helping me manage and channel my stress. It truly amazes me at the things that can heal out bodies. 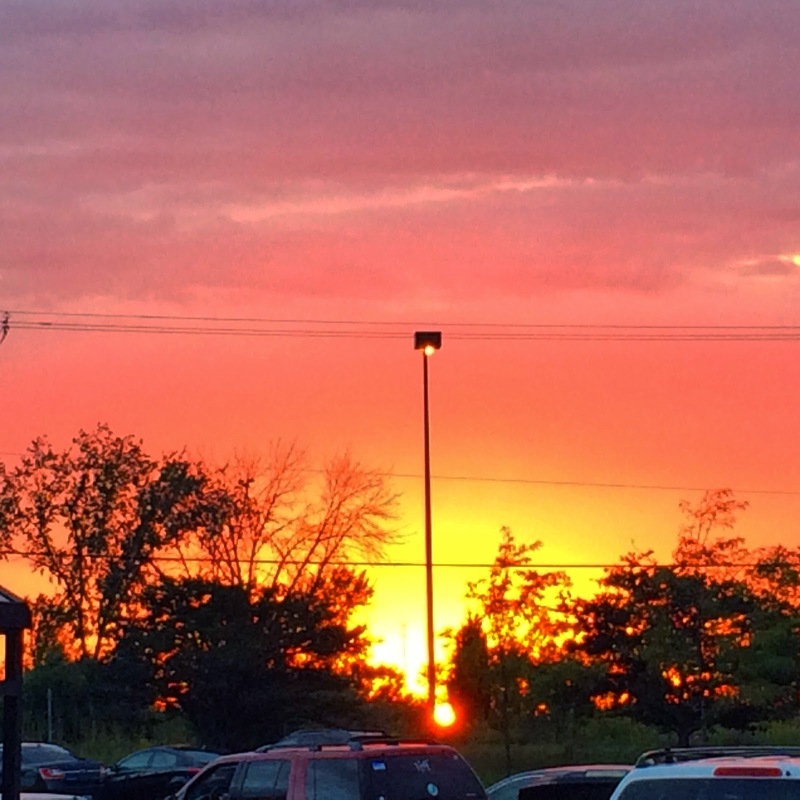 4| On Monday when we came out of the grocery store there was one of the most beautiful sunsets, it was such a perfect way to finish out my #100happydays challenge. 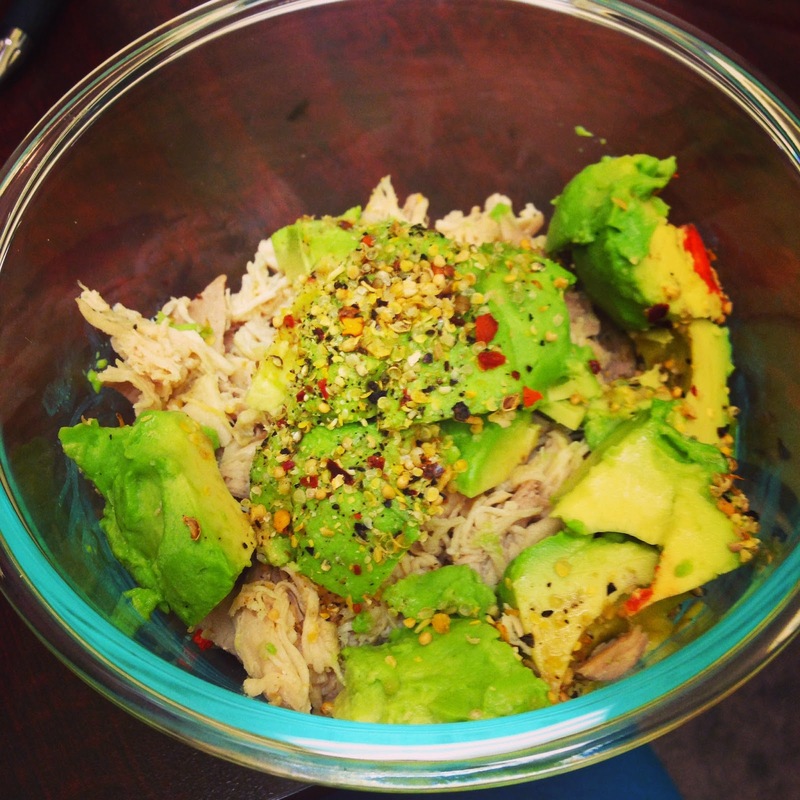 5| I could eat avocado's every day. I only have 2 complaints, one why is the pit always so dang hard to get out, it always ends up flying somewhere and two why does the price just seem to constantly increase? Enjoy your weekend where ever you are, hopefully you are lucky enough to be getting some of this fall weather! Looks like you had a great week! 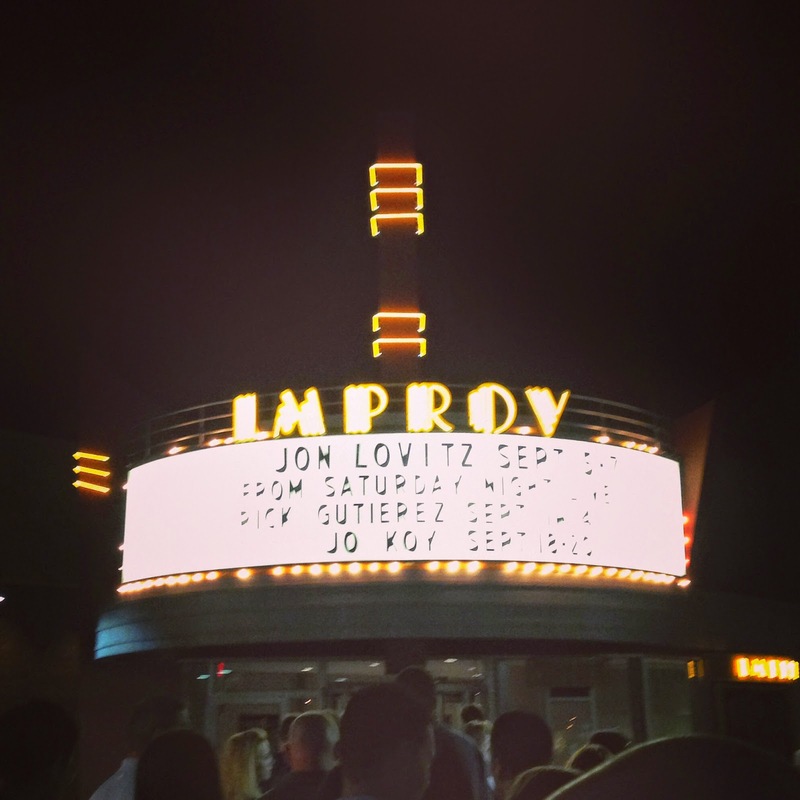 Comedy clubs always make for a fun evening, and I remember how funny John Lovitz was when we saw him a few years ago. Have a great weekend! You new bath is so awesome!!! I bet you are loving it. A night at the IMPROV! Look at you. I'm a huge avocado fan as well... and Jon Lovitz-- hilarious!!! 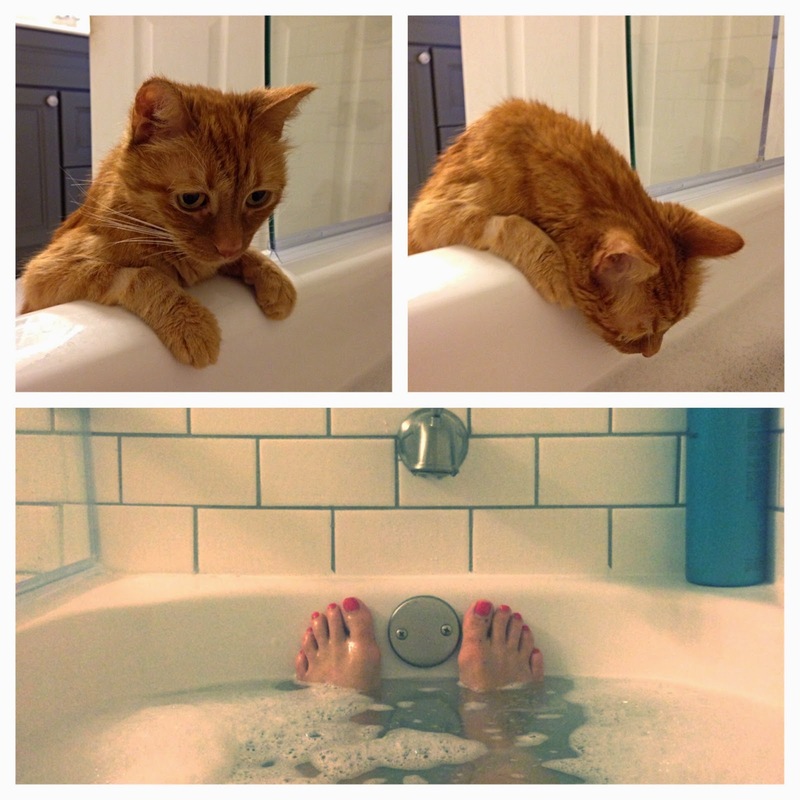 oh gosh my cat does the same thing when I'm in the bath! I need to try that detox bath!! That picture of the subset is so pretty, and hog have me wishing for cooler temps, it's still so hot here! Give it a try, I didn't think I would actually feel it doing anything, but you totally do! Can't go wrong with avocado's! Thanks for stopping by Sarita! I thought he was going to jump in for a second! Have a great weekend! I am totally loving it! Have a great weekend Leslie! I'm hoping to go back and check out Jo Koy in a few weeks, I think he'd be great to see! Hope you have a nice weekend! hahahahaha I am cracking up because that always happens to me!! Why it goes flying across my kitchen every single time!! Seriously, right?! Either across my kitchen, or right into me and my work clothes that I've got on!